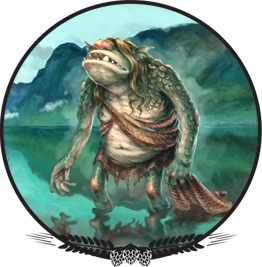 Jezernik was a water sprite that lived in Lake Bohinj. He had a swift hand, so no fish ever got away from him. He took all his catch into his underwater castle. At that time, there was a poor fisherman living in Ukanc. Every day, from dawn until dusk, he was waiting to catch something. But that almost never happened, because Jezernik kept making such a racket in the water that all the fish got away. The poor fisherman was fed up with Jezernik, so he started digging a ditch at the lake’s shore from which all the water from the lake would run away. This way Jezernik would stay without food. When Jezernik heard the fisherman’s plan, he asked him to stop digging. In return he offered him a magic fishing net. From then on, every time that the fisherman threw his net in the lake, he pulled out enough fish for himself and for all the people from Bohinj. Once upon a time, there was a young and simple boy. He left his home in search of a better and happier life. One day he came upon some rocky cliffs and met an old man who told him about a difficult task the boy was about to encounter. 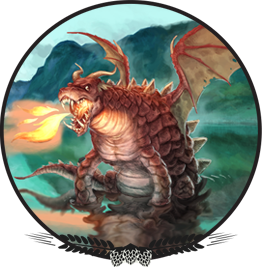 The young man hears about a town and a large lake which has been terrorized by a nine-headed dragon lintvern. The dragon lived on cliffs by the lake and the town’s people had to feed him a person every day. The king’s daughter was next to be sacrificed to the dragon. So the king promised the whole kingdom and his daughter’s hand to the person that would kill the dragon. Many had tried, but they had all been doomed. An old man also told the boy to aim for the middle head, because if you cut off one of the side head, they would grow back. He gave him special powers to beat the dragon and one last advice – to cut off the tongues of each dragon’s heads before he left for the castle. The young man listened to his advice and did exactly as told. He beat the dragon and cut off his tongues. The town’s people were happy and cheered him as he headed to the castle. But there was another man who claimed to have slayed the dragon. He cut off the dragon’s heads and brought them to the king. They were both summoned before the king, so the young man showed the tongues as proof that he really was the one who had slain the dragon. When he proved his innocence the imposter was sentenced to death, the king gave his kingdom and his daughter’s hand to the young man. The boy went and brought his mother to the castle. Everybody was happy and celebration lasted for a whole week. 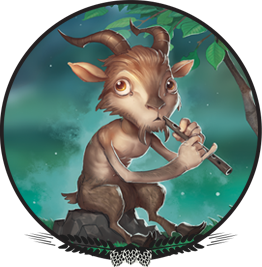 Mountain dwarf Čatež – half human, half goat – visited Komna every night and kept breaking in sheep stables. One very dark night he was cought by a shepherd that wanted to kill him. But Čatež promised to bring him a lake fairy if he let him free. At dawn they met near Komna, but the dwarf didn't want to keep his promise, he wanted the fairy to himself. The shepherd felt sory for the fairy, so he saved her and chased the evil dwarf Čatež away. The fairy was very grateful, so in return she planted the love for mountains into the shepherd's heart. Even nowadays, all the sheperds on Komna and in Bohinj are joyfull and full of love for the mountains. But just in case, stay away from the cliffs ofKomna, because Čatež lives there –the dwarf with horns and the thief of sheeps. In Bohinj mountains there lived a dwarf, named Polesnjak. He wore a red hat and had a big hump on his back. He liked to hide in the woods and haunt loggers. One dark evening there was a farmer returning from Planina Blato to his home in Srednja vas. He left the trail and got lost in the woods, when he heard the dwarf Polesnjak feeling lonely and bemoaning his destiny. He even made an offer: »I would give a chest full of golden coins to anybody who would bring me a wife.« The Farmer was cunning so he hurried to the valley and returned with a bag full of straw. 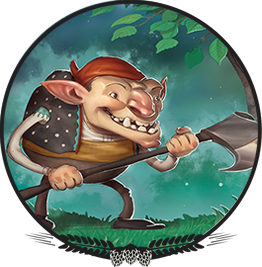 The dwarf filled his chest with golden coins – he couldn’t see the trick because of the dark. In the morning, when he realised what happened, he got very upset and swore vengeance. The next night he hurried to the farmer’s home and tried to strangle him. But the farmer was strong and Polesnjak failed. Polesnjak returned to the mountain and came back the next night. This time he kidnapped the farmer’s daughter. When the farmer came to beg for her life, the dwarf finally promised to release her, but only when he gets back all the golden coins. The farmer has to bring them to the dwarf every night, one by one, until they are all back. So night by night, tired from a hard day’s labour, the farmer kept returning to the mountain. He slowly lost his strength, got old and grey, but he never gave up. His love towards his daughter was just too strong. When he finally returned to the mountain with the last coin, it was a windy and stormy night. He fell on a dark, slippery path and died. After many years loggers found a white skeleton in the dark woods above Srednja vas. They also named a cave at Planina Blato – it is called Deklica (A Girl) in memory of a daughter which couldn’t be saved by her father. veseli nas, da ste obiskovali našo spletno stran. Zasnovali smo jo zgolj in samo za informiranje naših strank, ki bi želele izvedeti kaj več o naših pivih ter lokacijah prodaje. Če nam boste pisali na javno obljavljen e-naslov, Vam bomo čimprej odgovorili – vaš e-naslov pa bomo uporabili zgolj za odgovor na Vaše sporočilo. Pale, light and refreshing. Four grain beer – barley malt, wheat malt, corn and oat are well balanced by bitter taste of Slovenian hops – styirian golding and magnum. Witbier style. Drinkability is a key characteristic of this strong beer. Its intensive citrusy, grapefruit hop aroma is very well balanced by roasted malt, which gives the beer dark brown to black colour. The taste of caramel is an excellent complement to the bitter taste. A very dark, sweet, full-bodied, slightly roasty stout with mild roasted grain. Rich coffee aroma is accompanied by dried fruit aroma. Moderate hop bitterness. Fresh and intense citrus and mango aroma. Bitterness from the hops leaves a very nice taste that prevails. Full bodied with smooth texture. Beer with character.